The development of novel therapeutic strategies for glioma requires the identification of molecular targets involved in malignancy. Pygopus (Pygo) is a new discovered and specific downstream component of canonical Wnt signaling. Our previous study has demonstrated that Pygo2 is highly expressed in and promotes the growth of glioma cells. However, the role of Pygo2 in glioma remains to be elucidated. In the current study, we investigated the role of Pygo2 in human glioma U251 cells and showed that knocking down of the expression of Pygo2 in U251 cells using lentivirally expressed siRNA have inhibited cell proliferation and increased apoptosis through decreasing H3K4me3 expression. Moreover, we found Pygo2 was enriched in U251 glioma cancer stem-like cells and Pygo2 siRNA resulted in a reduced number as well as size of tumor spheres. 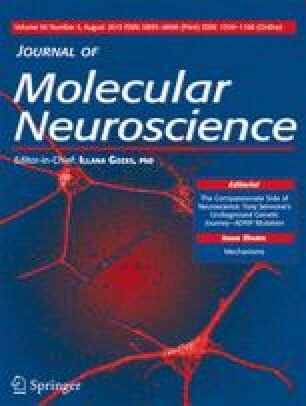 According to our result, this paper now links mechanistically Pygo2’s role in histone modification to its enhancement/reduction of proliferation/apoptosis in glioma cells and indicate that Pygo2 may play an important role in self-renew and proliferation in U251 glioma cancer stem-like cells. This work was supported by the National Natural Science Foundation of China (no. 81271332) and Fujiani Natural Science Foundation (2009D002). All the authors of this study declare no conflict of interest.